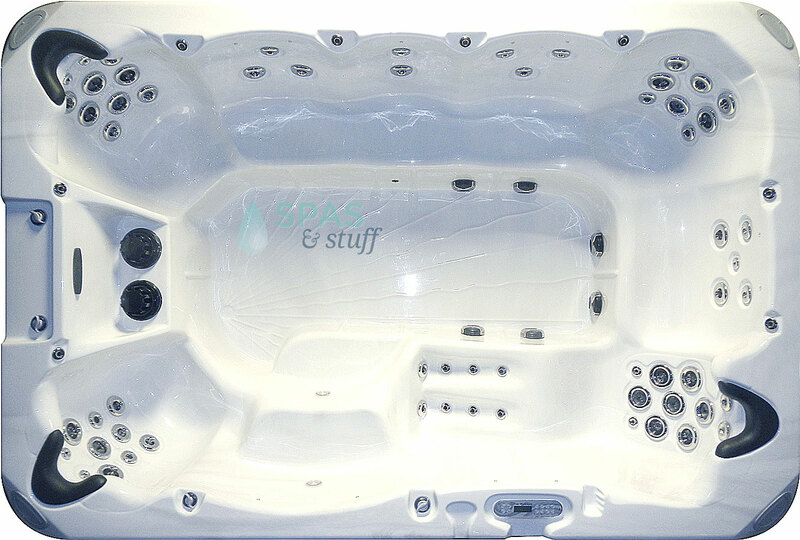 Spasandstuff.com is a proud retailer of Columbia Spas brand hot tubs. 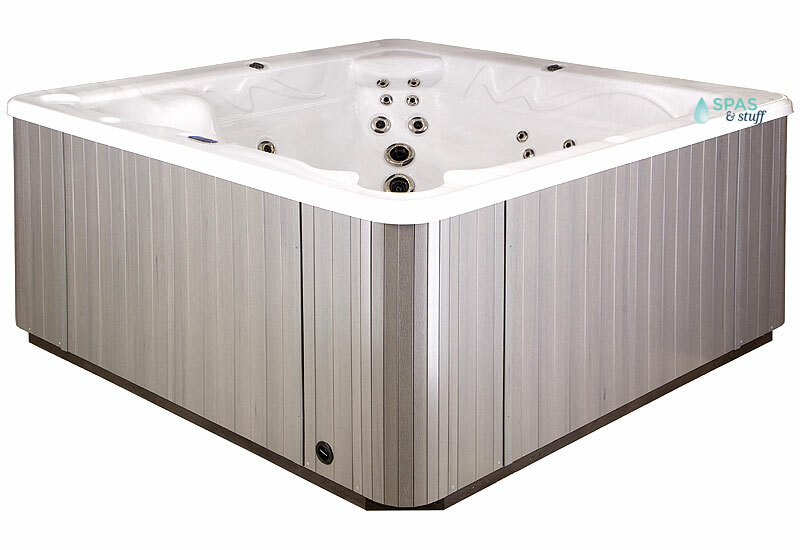 These high-quality, affordable hot tubs are available for sale on our website here. Built in Spokane, Washington, by Blue Falls, USA, these hot tubs are a great addition to any home. With twelve hot tub models and over a dozen different options to choose from, Columbia Spas makes it easy to create a unique home spa experience at a great price. Whether you are looking for a quiet moment of solitude or are spending quality time with your family, you'll find exactly the spa that you are looking for. Get all the joy and relaxation that you expect in your spa experience without all the hassles. Some of the great options you can add to every spa model include matching spa steps, a Cover Mate Lift Assist, an underwater LED light, a waterfall feature, and more. It's easy to add value to your hot tub without burning a hole in your wallet. For a limited time, select models come with a free gift! Extraordinary steps are taken to make sure that every Columbia Spas hot tub is a work of art. Exceptionally rigid quality assurance standards are applied to every model produced. Each spa undergoes static and dynamic double water tests to ensure years of trouble-free enjoyment. Columbia Spas features a state-of-the-art shell backing process that emits no VOC's and superior insulation, so the spa costs only pennies a day to operate. You can depend on Earth-friendly manufacturing processes with every Columbia Spas hot tub from Spas And Stuff. So rest easy and relax this winter in your very own Columbia Spas hot tub! Read reviews from customers who have purchased a Columbia Spas hot tub here! This entry was posted in Hot Tubs and tagged hot tub, hot tubs, columbia spas on October 18, 2013 by admin. In Taiwan and some other counties, it's understood that soaking in a hot tub or hot spring will mean eating and drinking while relaxing. In Taiwan--an island wealthy in natural hot springs--it is common for hot-water lovers to put fresh eggs and cans of coffee into mesh nets, then soak alongside for a little while until the eggs are soft-boiled enough to eat and the coffee warm enough to drink. It's a fun activity, and enjoying snacks while soaking just makes sense to hot tub users worldwide. Combining alcohol and bodies of water is never a good idea. For many, entertaining and alcohol are closely related, but it is very important to be cautious. Alcohol impairs motor functions, and surfaces around hot tubs can be slippery. If necessary, a spa pad can add traction to the ground and aid balance and safety, but the best precaution is common sense. It won't ruin your hot tub if food lands in the water, but anyone else sharing the tub with you might not enjoy sitting in a hot soup of soggy chips. It may be best to purchase patio furniture that can hold food and drinks next to the hot tub. 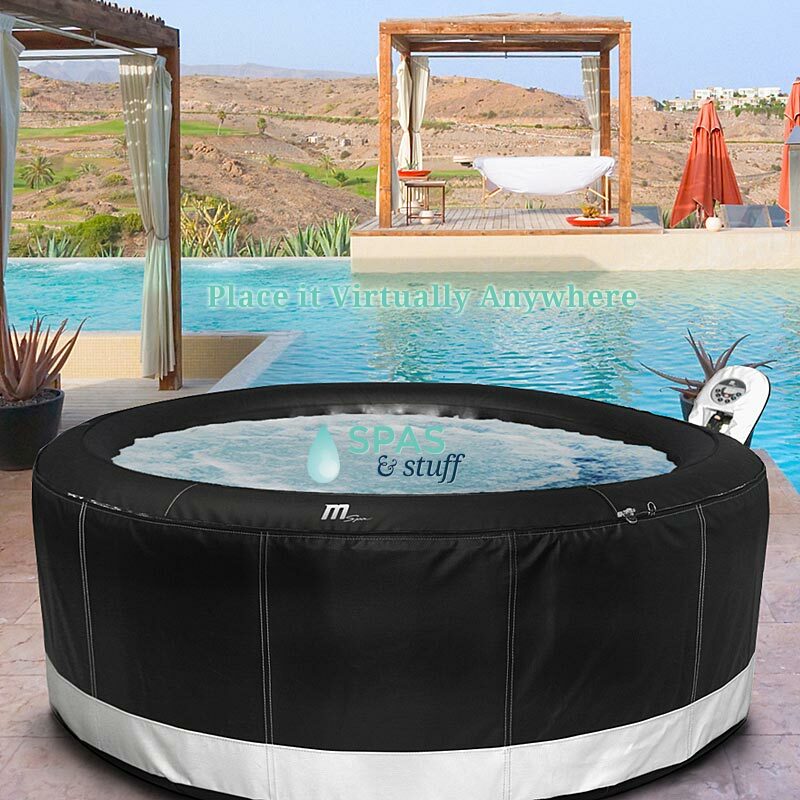 Spasandstuff.com has some really attractive spa furniture, if you need some ideas. Staying in the hot tub for long periods can make a person feel dehydrated and can lower blood sugar levels. It is a good idea to keep drinks on hand and to take snack breaks periodically. If at any time you begin to feel lightheaded, leave the hot tub immediately, rehydrate, and rest completely before returning to the tub. This entry was posted in Hot Tubs and tagged hot tubs, food, safety on October 15, 2013 by admin. Spasandstuff.com is pleased to announce we are now carrying swim spas! These unique spas take you from relaxation to exercise without additional equipment. Sit and soak away your stress or activate the jets and swim your way to a fitter you. Comes in 14 ft. long and 16 ft. long models. This entry was posted in Hot Tubs and tagged hot tubs, swim spas, spas on October 14, 2013 by admin. I don't know anyone who deserves pampering as much as an expectant mother. As the fetus grows, women experience aching backs, swollen legs and ankles, and sensitive stretching skin. Pregnancy puts enormous strain on your system, and many pregnancies are rife with headaches, nausea, anxiety, depression, high blood pressure, anemia, gastrointestinal discomforts, and mood swings. We all know how soothing and relaxing hot tubs can be, and how beneficial they are for our emotional well being. However, pregnant women may want to think twice before taking a long, hot soak. Hot tubs increase your core temperature by several degrees. Hyperthermia--or abnormally, raised body temperature--is a major concern for pregnant women. A body temperature exceeding 101F is a cause for concern when pregnant within the first trimester. Most hot tubs maintain a temperature around 104F. The risks to the fetus include neural tube defects and miscarriage. Turn down the hot tub. Set the maximum temperature to 100F. Limit your soaking time. Do not soak in hot water for more than 10 minutes. Cool down completely before soaking again. Substitute a warm bath for hot tub time. A warm or even hot bath is safer than a hot tub because it is less likely to reach and maintain dangerous temperatures. Use warm compresses or heating pads on aching joints and muscles. Keep heating pads at a moderate temperature. A bag of rice or beans microwaved for a few seconds is Heaven on tense neck muscles. Drink warm herbal or decaffeinated teas to soothe from the inside out. Monitor your comfort level. If you start to feel too warm, remove yourself from the source of heat and cool down. As always, please please consult your doctor about the risks hot tubs pose to your pregnancy. This article is not a substitute for your doctor's advice. This entry was posted in Hot Tubs and tagged hot tubs, pregnancy, dangers on October 7, 2013 by admin. We all love a good deal, and scoring a good deal on something as awesome as a hot tub? AWESOME. But there's a big difference between "a good deal" and "cheap." You don't want to get ripped off and you don't want to end up with a lemon. 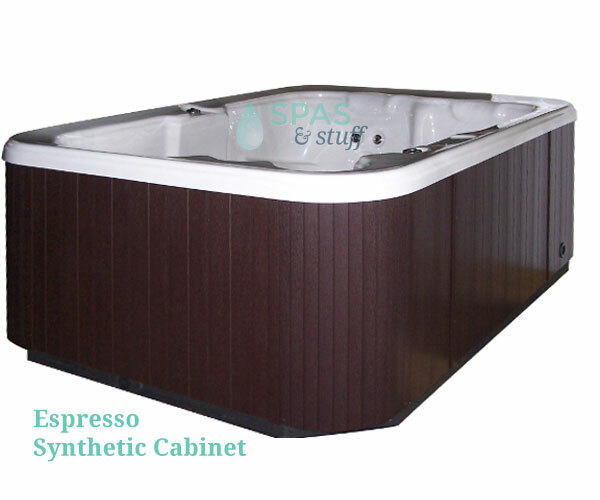 Many online suppliers offer sales and spas at affordable prices. It is very easy to peruse a few different sites to get a good idea of a general price. Unfortunately, sometimes people access websites such as Craigslist or Ebay looking to find something at a really low price. Unfortunately, those looking to get something for nothing are going to get what they paid for. Look for online hot tub dealers (you know, like Spasandstuff.com). Many times, online suppliers can offer better prices because they do not have to factor salespeople into the equation. Buying a used hot tub may save you money, but like used cars, you risk getting a lemon. If you do decide to go this route, try to see the hot tub in operation before you buy. Make sure it operates as it should. Another consideration when buying used: hygiene. Make sure the previous owner has been maintaining the hot tub properly and cleaning it. You don't want to risk sitting in a hot tub full of algae spores or bacteria. 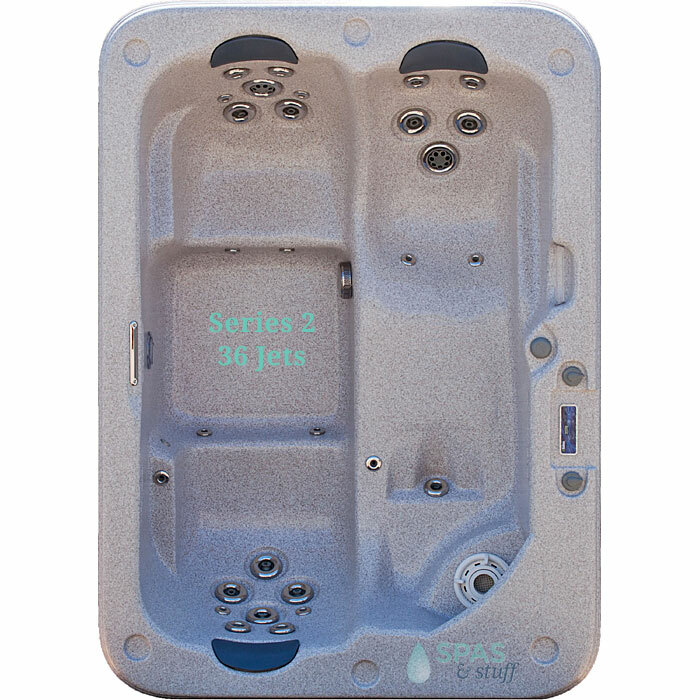 This entry was posted in Hot Tubs and tagged hot tub, affordable, cheap on September 30, 2013 by admin. Many people are switching from using chlorine to clean their hot tubs and spas to saline (salt) solutions. There are many reasons to make the switch (fewer chemicals in the water, for example). Here are just a few facts you should know about switching to saline. A salt water system (essentially) creates its own chlorine or bromine to circulate throughout the hot tub. A chlorinator or brominator cell creates the separation of sodium and chloride or sodium and bromide. This process culminates in the sterilization of your spa. Some hot tub users are allergic to the chemicals in chlorinated spas. This may also be the result of ancillary by-products existing in the chlorine solution. Those who are known to be allergic or have sensitive skin may benefit from the new bromine salt water system for spas. Kids love to submerge themselves underwater. Saline solution is much easier on the eyes than chlorine. This lets little ones play longer without getting red, itchy eyes. Saline systems do not come cheap. Presently, saline hot tub systems are more expensive than traditional spa chlorine. Saline cleaning does not warrant as much diligence, but a hot tub owner must still occasionally add acids or base to equate the pH levels in the hot tub. Going "green" and being more aware of our individual impact on the environment is something that increasingly concerns consumers. Certainly, using saline solution rather than chlorine to clean your hot tub is a greener way to go. This entry was posted in Hot Tubs and tagged hot tub, salt water, chlorine on September 27, 2013 by admin. 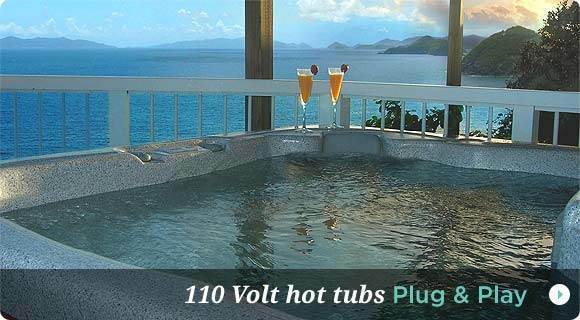 Outdoor hot tubs and spas are wonderful products, but they do require an electrical current to run. Besides the obvious hazardous implications of mixing water and electricity there are other safety precautions to consider when enjoying your spa. Think about installing outlets with covers that protect connected plugs. Do not touch any electrical appliance around the spa or hot tub while your body is still wet. Do not place cords or plugs in close proximity to your tub, as well as damp pipes and puddles. Do not try to be a hot tub repairman (unless that is your profession, of course). Make sure a licensed electrical professional addresses any repairs or electrical concerns. Do not leave any tools or appliances running unattended or left for small children to find. Do not move around with appliances while they are plugged in and turned on. Check for cracked or broken wires because they can quickly become hazardous. Do not carry appliances or tools by their cords. A ground fault is an unintentional electrical path existing between an electrical current's source and a grounded surface. Currents sometimes "leak," enabling electricity to escape into the ground. If a person's body approaches the leak, it can facilitate its connection to the ground, in turn providing shocks, burns, and electrocutions. GFCIs were created to circumvent such hazards from occurring. A GFCI continuously monitors a home's wiring system and finds sources losing current (or leaking). When a GFCI senses a disparity in regular electrical currents, it cuts the power to that specific circuit. A GFCI can be the difference between something feeling like a "static shock" and a painful electrocution. This entry was posted in Hot Tubs and tagged hot tubs, electricity, GFCI on September 24, 2013 by admin. An in-ground tub can rest idle or be attached to a swimming pool. There are not a lot of options with its location as once it is in, it is permanent. The tub can be molded of concrete or a material matching that of a connected pool. The heater, jets, filter, and pumps associated with an in-ground tub can be more powerful than those of a portable tub because of the connection to an adjoining pool. The necessary equipment most likely will be out of view (being underneath the tub, enclosed in a remote unit, or built within the tub itself), so the sounds of operation can be less noticeable. There is a trade-off -- the hot tub can be more powerful, but the energy bill may be much larger. 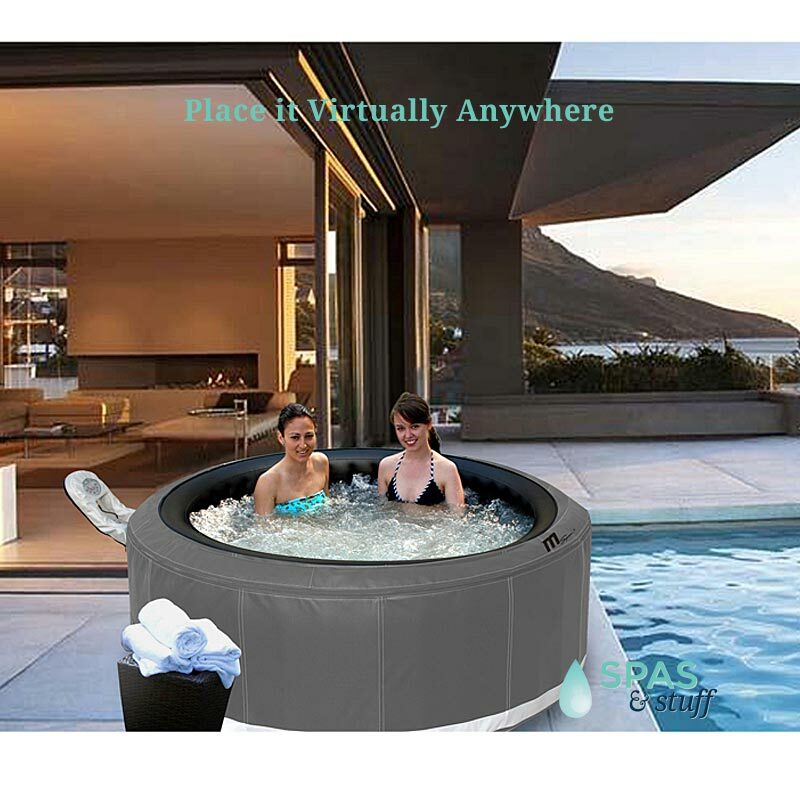 A portable hot tub provides its owner with more choices in regards to its location. The location does need to be sturdy in order to hold the weight of the tub and its occupants. 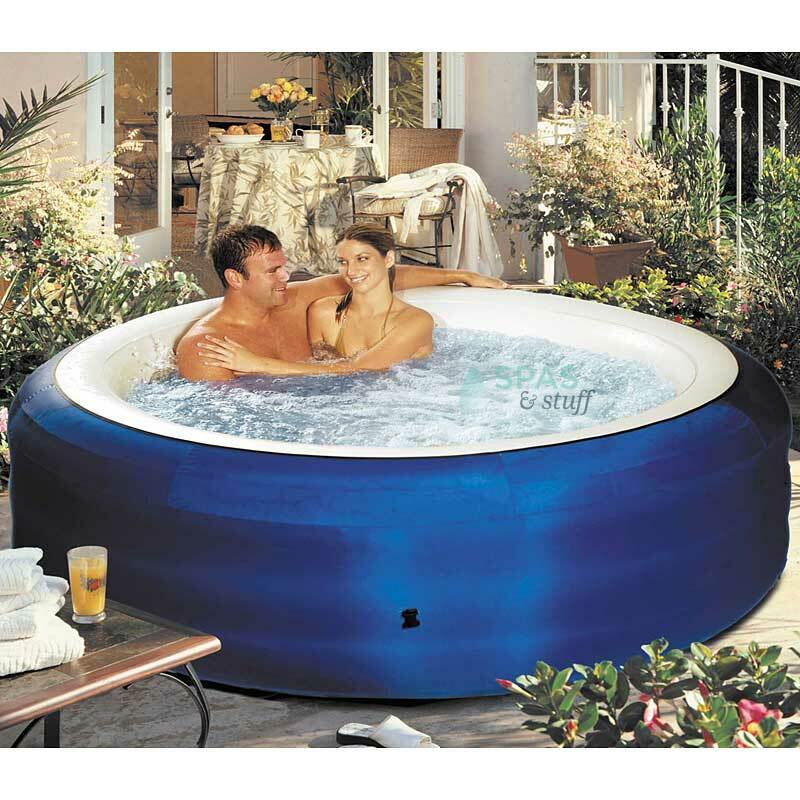 Portable hot tubs come in many sizes, ranging from two-person tubs to those that can fit up to ten people. The pump, filter, and heater are smaller for a portable tub in comparison to in-ground hot tubs. Portable tubs are usually made of fiberglass or acrylic material. This gives you a more options for the tub shape and color. This entry was posted in Hot Tubs and tagged hot tubs, in-ground, portable on September 20, 2013 by admin. One of first things a consumer should think about is where they would like to place the tub--inside or outside? Manufacturers make models suited for both locations. A bathroom or extension room may be ideal for indoors, and a back porch or yard can host a tub outdoors. Consider an area away from hanging leaves or debris. Manufacturers make hot tubs for two people up to ones that can fit six or more people. You may be able to get a decent estimate with an eye, but there is a "rule of thumb." Think about each person as taking up about 70 to 80 gallons each. Multiply the intended number of occupants by 75 gallons. The price of a hot tub is usually related to its size. Suppliers are always hosting hot tub sales--it is best to keep an eye out for them. A two- to four-person tub usually starts around the $4,000 price range. Like many large purchases, vendors typically offer payment plans. Hot tubs can come with a lot of "extras." Many customers are amazed to find that a hot tub purchase completely revolutionizes their backyard. Some begin building an "ambiance" in tribute to their tub. 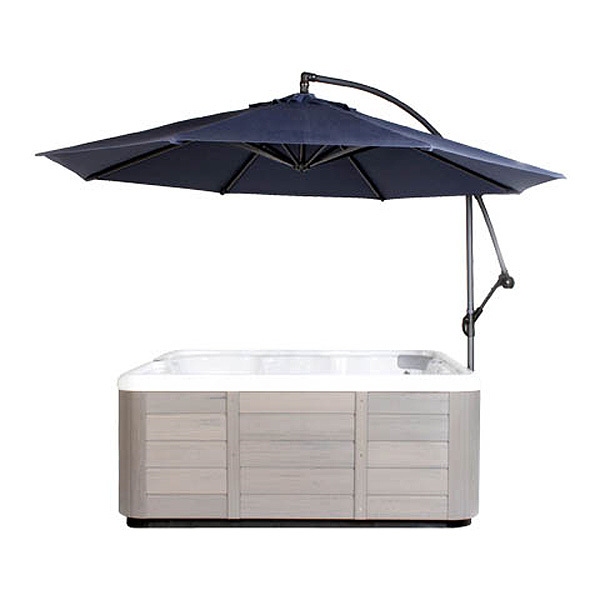 Customers have implemented spa bars, patio benches, spa sun umbrellas, and other accessories to complement their new hot tub. Think about the type of environment you'd like to create around your hot tub, and go from there. This entry was posted in Hot Tubs and tagged hot tub, buy, manufacturers on September 14, 2013 by admin. How much do you know about the materials your hot tub is made from? OAS--or Olefin Acrylonitrile Styrene--and Acrylic are two materials manufacturers use in making hot tubs. Both materials are celebrated, yet differences exist. OAS can be applied at a cost-efficient price by manufacturers, so hot tubs made of this material may be found at a better price. The "finished shine" on a hot tub made of OAS may appear more modest in comparison to an acrylic tub. Acrylic hot tubs are very easy to clean because of their non-porous finish. Acrylic offers many colors and styles of finishes, such as simulated granite hot tubs. The more you know about your tub, the better you can care for it and the longer it will last. This entry was posted in Hot Tubs and tagged OAS, acrylic, hot tubs on September 10, 2013 by admin.